Saturday 29.4 was the official starting day of the Beach clean-up week organized by the Baltic Sea Challenge and Keep the Archipelago Tidy Association. 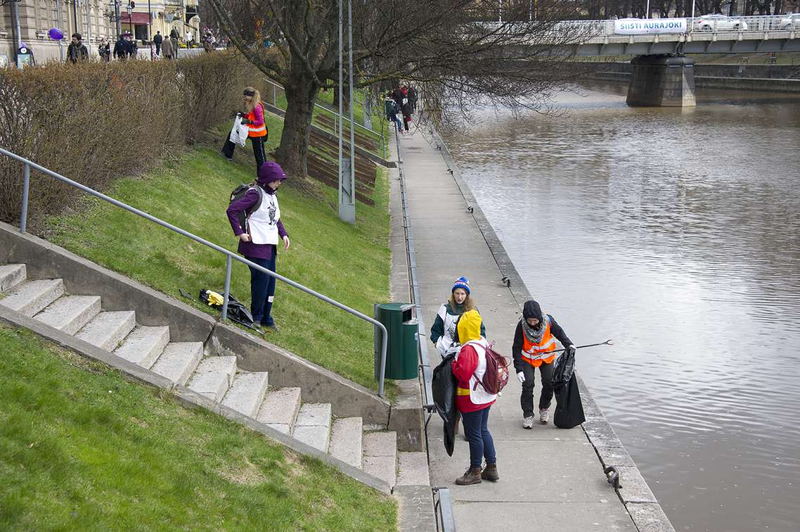 iWater in Turku wanted to take part in the event with two posters that would help increasing awareness among passers-by of the negative effects of littering in our waterbodies. The event was an opportunity to show that litter found in the sea and the river is not necessarily directly thrown into them. In fact, most of it may come from far away. In cities with separate sewerage, storm sewer system discharges directly into waterways nearby. 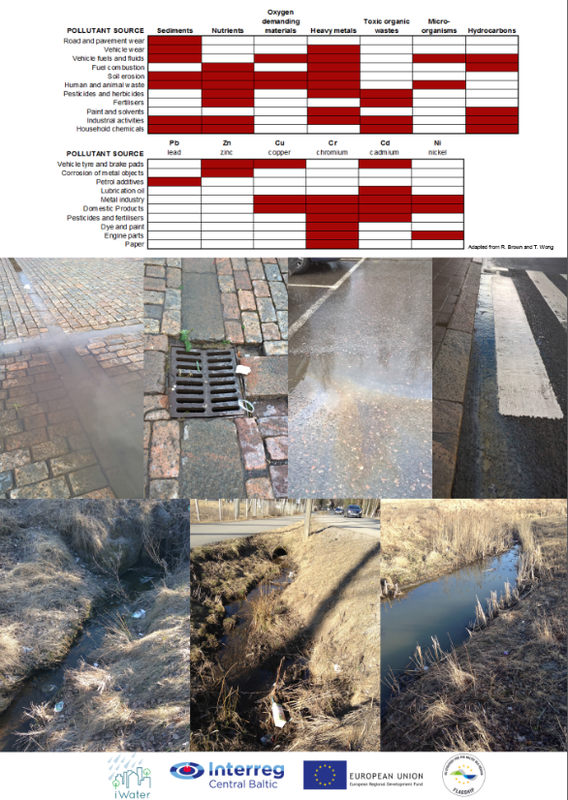 Storm water runoff collects impurities accumulated on impervious surfaces, such as solids, nutrients, heavy metals and oil and transports them along sewers and streams through long distances to larger waterbodies. That is why we should avoid also littering our streets since storm water will wash garbage off the ground and transport it to the sea, rivers or lakes. Preventing storm water pollution by encouraging citizens’ behavior changes is an effective strategy already tested worldwide. Cities like Melbourne in Australia and Surrey in Canada tried it years ago with successful results. Besides, in addition to being cheaper and quicker to apply than larger infrastructures, the preventive measures are also essential. 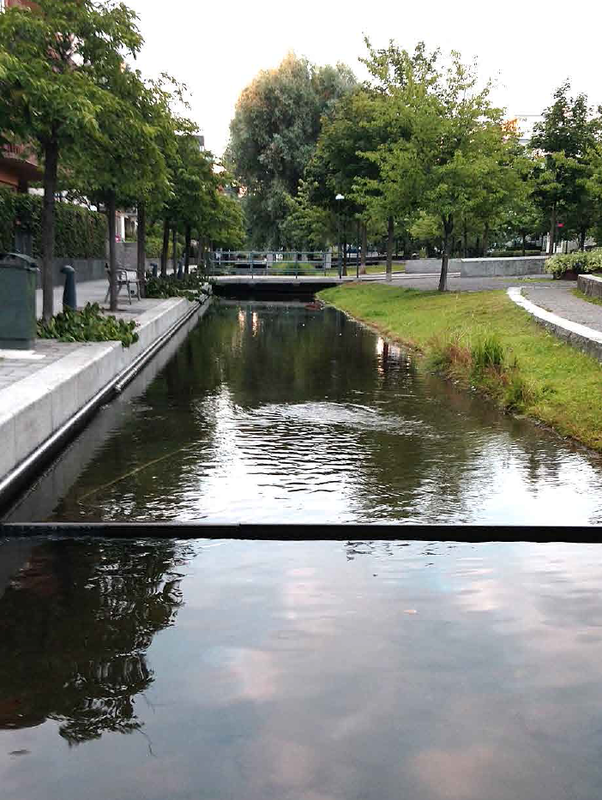 There is a lot of hope put into the natural storm water management solutions. Even though they are based on natural and green infrastructures, we should not forget that nature has its limits. Green ditches, wetlands and retention ponds can remove pollutants from storm water runoff but their capacity is limited. The capacity we are talking about is not only related to the amount of pollution but also to the kind of contaminants that can be treated through these new infrastructures. 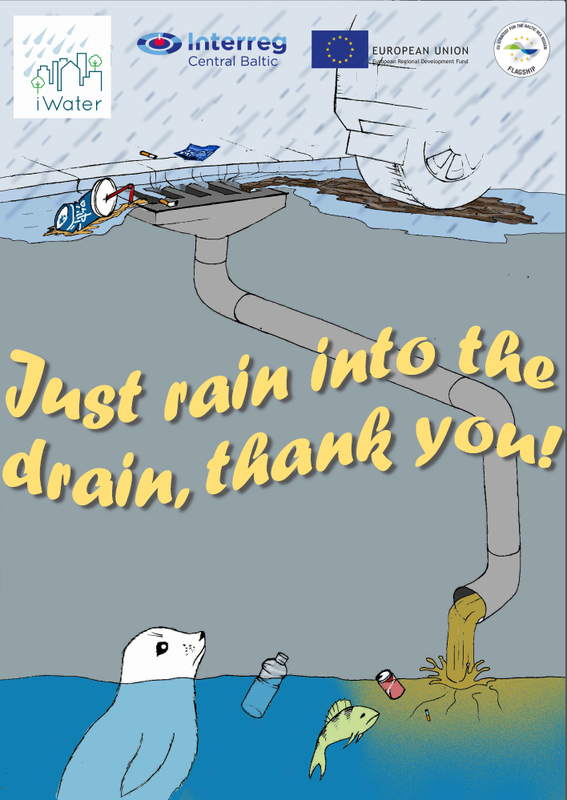 Many contaminants transported by storm water runoff dissolve very slowly in nature. For example, heavy metals and PAHs (Polycyclic Aromatic Hydrocarbons) are very persistent and tend to accumulate in soils and waterways. These contaminants are toxic and they accumulate slowly in organisms, causing damage over several generations. Read also Blastic project´s blog text "Cities as drivers of change: Better urban planning to prevent marine litter" by the iWater´s UBC team.